New Braunfels Rain Gutter Pros offer the best rain gutter services in New Braunfels for rain gutter installations, rain gutter repairs, and rain gutter cleaning. 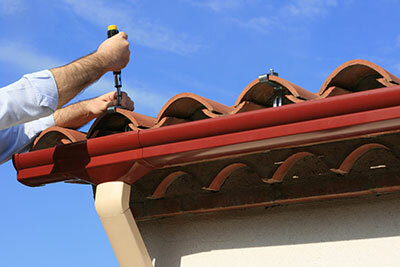 We've installed and repaired rain gutters for 11 years. Give us a call at 830-500-3090 for a no-obligation estimate for your rain gutters. We'll schedule a convenient time to stop by and provide an estimate for your rain gutters. For a mechanism that seems so simple, rain gutters can require a surprising amount of maintenance and repairs. 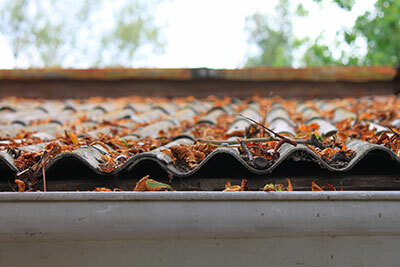 To complicate matters further, gutters can sometimes get damaged further when owners try to repair them, or even when they simply try to perform a thorough examination. We believe that you should leave anything other than the most basic gutter inspection and maintenance to the professionals. Feel free to have a look and try to see what's wrong, but have us do the heavy lifting that comes afterwards. The services we at New Braunfels Rain Gutter Pros offer cover everything to do with the gutter system – if you have a gutter-related issue, you can count on us giving you a helping hand. We most often install gutters for the first time on new homes or buildings, and in situations where owners learned the hard way that an adjacent structure needs gutters. If you just finished building your perfect home or a company building, you should make installing a quality gutter system your priority – when rainfall comes around, your structure will thank you. We don't just take care of the installation process itself – we work with our clients and help guide them every step of the way. We'll start by talking to you regarding the weather conditions in your area. This will give us an idea of which materials your gutters could be made of, how thick they need to be and whether a seamless installation is a must. Repairing gutters properly takes a lot more than putting on some duct tape. You can't do much to stop your gutters from getting damaged, even if you picked the right material and had us perform the installation. While most quality gutters have a decades-long lifespan and some can even last for a lifetime, this doesn't make them immune to harm. 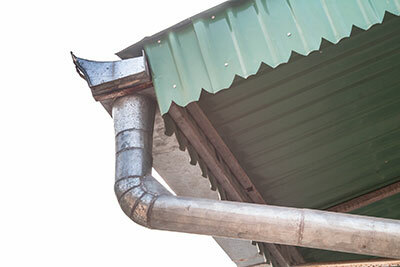 ​Rust can be an issue even on gutters made from quality materials. Likewise, a violent hailstorm can cause dents or even holes, as can an accumulation of water. Clogged rain gutters are probably the most prone to damage, both on the surface and the seams. Home owners find it difficult not to frown when it's time to clean their rain gutters. If they were dry, things would be easy enough, but the moisture makes the cleaner's job much harder. In fact, it can sometimes be downright impossible – mixtures of leaves, debris and moisture can resemble glue, especially when stuck inside the downspout. 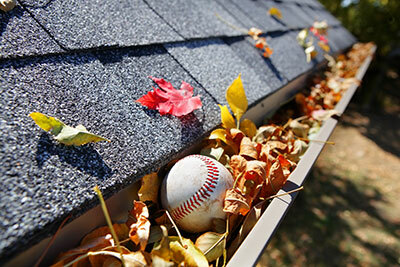 Feel free to sweep your gutters a bit, but once they start getting clogged, it's time to give us a call. We find that gutter cleaning is something that home owners frequently postpone, oftentimes telling themselves that the gutter "isn't all that dirty". Sadly, this way of thinking can lead to extensive damage to the gutter if it's not able to direct water into the downspout, or if the dirt gets too soaked – leaks or even collapses aren't uncommon. Our criteria for gutter replacement is as follows: either the gutter system must be damaged beyond repair, or the client must explicitly request a replacement. In either of these scenarios, we'll gladly replace whichever gutters you have with better-working ones. Before replacing your existing rain gutter system, we first like to try and see what went wrong with it. We'll examine the material in depth and ask about any previous issues you might have experienced. 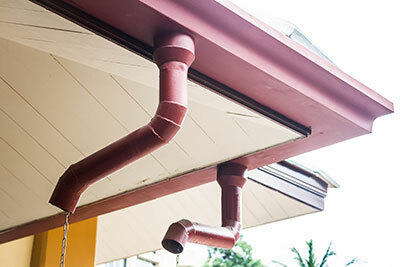 This helps us find the perfect future gutters for your home – ones that will hold up against any amount of rain. We realize that nobody likes having their home subjected to lengthy repairs. 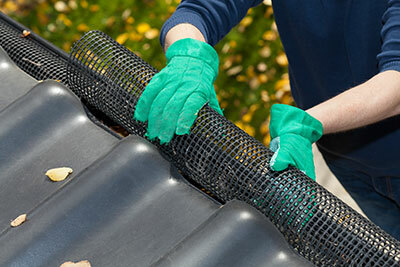 Knowing this, we perfected out gutter replacement method to get the best results in the least possible amount of time. While we're always ready to clean your gutters from any amount of dirt clogging up the pathways, we'd much rather see them stay clean year-round. To accomplish this, we'll sometimes recommend leaf screens and/or gutter guards to our clients. Leaf screens work on a simple principle: a metallic net keeps any leaves on the surface, preventing them from entering the gutter or the downspout. Leaf screens are a great solution because the holes are too small for leaves, yet large enough to let any amount of water or even bits of rain through. While they will take a lot of maintenance off your hands, you'll still be advised to sweep the leaves away from the leaf screens periodically to ensure optimal gutter functionality. Gutter guards can be a bit harder choice – their holes are often tiny as their purpose isn't just to keep leaves out, but all manner of debris as well. As effective as they are, they can sometimes cause too much rain to mix with dirt and debris on the guard's surface, which will nullify the gutter's effectiveness or even lead to its collapse. You should always have us install the correct leaf screens or gutter guards for you instead of trying to find them on your own. Once we've gained a good understanding of the weather conditions in your area, we'll be able to find the perfect balance between keeping leaves and dirt out and letting moisture pass through. To know whether rain chains are an advisable addition to your home, we'll have to talk to you and see how much heavy rainfall you'll be dealing with. There's no doubt about it – rain chains are a very aesthetic downspout replacement, and they can also provide a small amount of utility on top of giving the home a better appearance. However, they're not that good at dealing with flood-level volumes of water. Sometimes, a good old downspout is simply the better choice, and you'll have to contend with placing the rain chain elsewhere as a decorative item. ​If we can give your home the green light for rain chains, though, we'll be happy to remove that dull-looking downspout and replace it with a colorful chain that will add a nice touch to your home's exterior. None of us are strangers to saving money. For many of us, every penny counts. Saving water is a great way to save quite a bit of money in the long run, and there are few better ways to accomplish this than by making use of the abundant rainwater that would otherwise be discarded into the sewer. 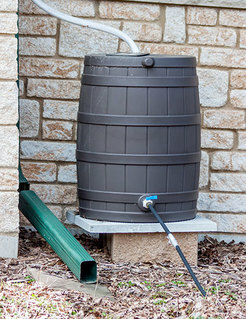 Whenever we work on a large home, or with a client who taps a lot of water(having a large garden, for example, can quickly drive up the water bill), we'll take the time to explain how rain harvesting works and why it's so often a great choice. New Braunfels Rain Gutter Pros offer several rain water harvesting systems depending on your needs. Of course, before we can go through with the installation, we'll need to examine the water first. In some areas, the rainwater is better left to the sewer, while in others, it's almost as clean as tap water. With the right rain water harvesting system installed on your home, a single heavy downpour can fill up a very large tank. That's free water for you to use in any way you see fit, and best of all? The tank refills every time it rains with no additional cost on your part. When looked at from an investment standpoint, this could easily be considered one of our best services.